Imagine that you are going to be going into business for yourself at home or telecommuting to work, and you want a home office space which is separate from your main living area. Your first thought might be to tack on an extension to your home. But then you might start thinking about building a tiny house instead to function as your private office. 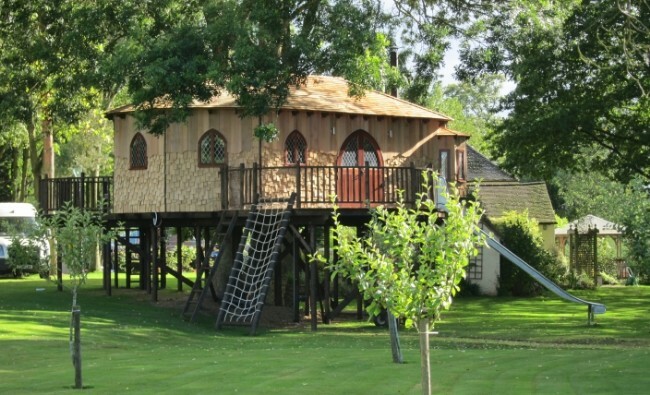 But one thing you probably wouldn’t think about doing is putting that tiny office in the treetops. 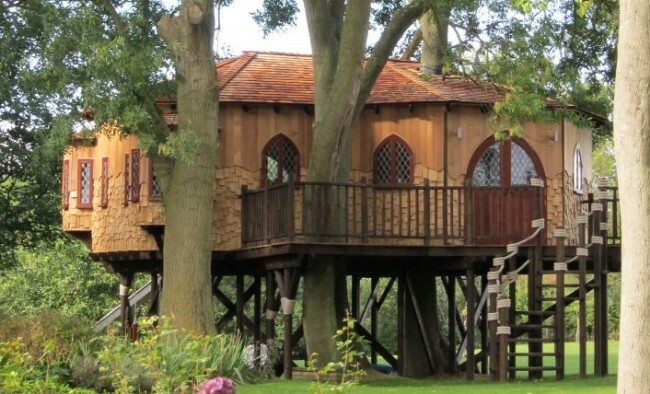 This awesome tree house office was commissioned for a client in Shropshire, England. 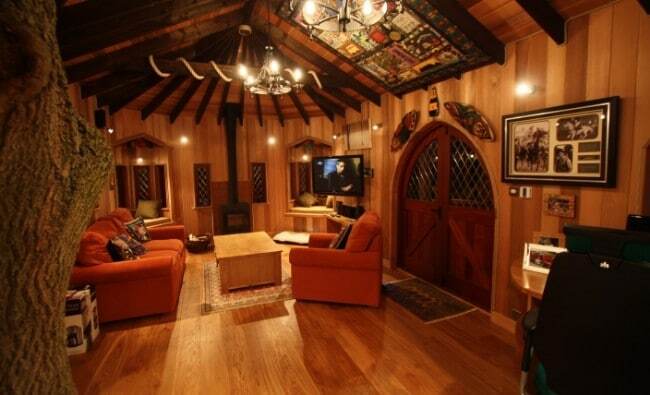 It has a cool medieval look to it with the arch windows and doors and the mullioned glass. Shingles around the lower part of the siding provide a unique texture, and help to give the office even more character. The interior of the office is the very height of luxury! And its functionality certainly extends way beyond that of your typical office. While it is meant to be used as a study during the day, after work is complete, it functions more like a den. There is a furnace for heat, Sky TV for entertainment, and a kitchenette with a wine cooler. You can see the wine cooler in this shot. You also can actually see the part of the “office” which serves the actual purpose of office space! Judging from this, I would say that the client is more focused on play than on work. It seems like about 90% of the “office” is given over to leisure. But you know what? 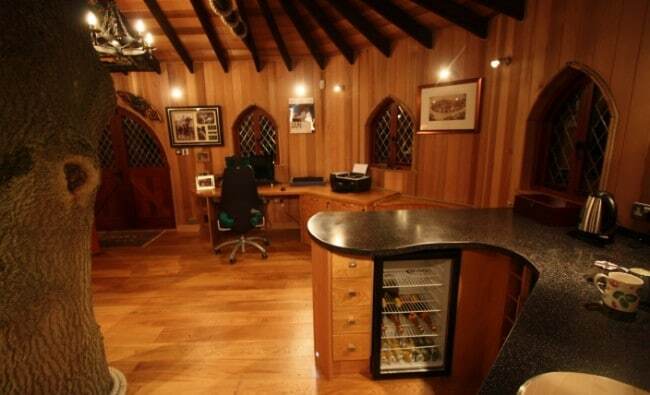 If I had an “office” this cool, I also wouldn’t want to just do my work in it. I’d want to hang out in here constantly. So that makes total sense to me. 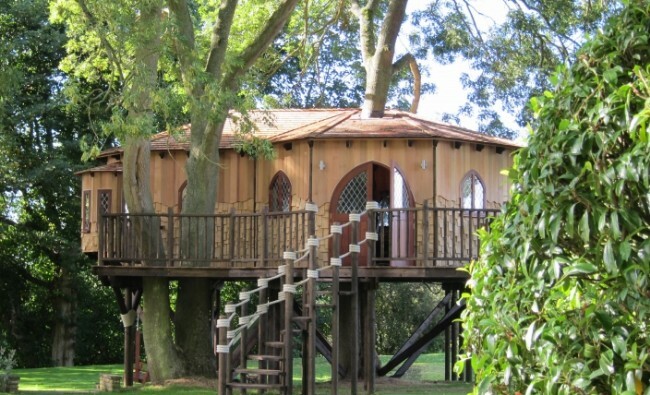 Discover more about the Tree House Office at Blue Forest.